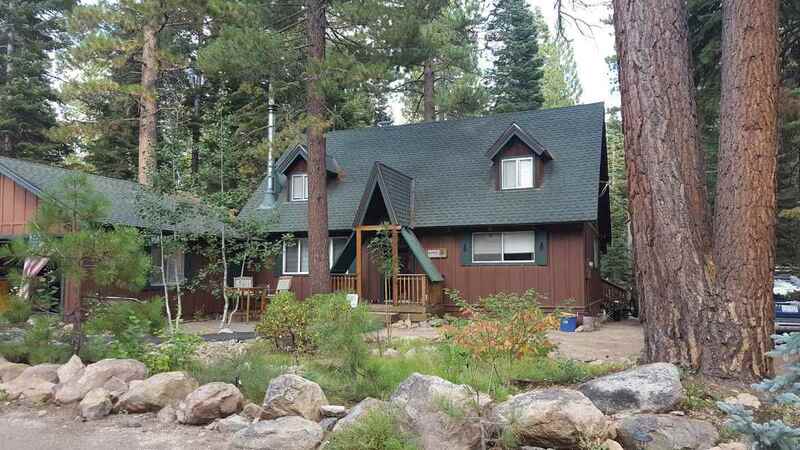 This mountain home offers tons of charm with a wonderful yard, quiet back deck, BocceBallCourt & spa. Entry level has the main living area w/ Hickory floors, full bath & large kid&apos;s room, all with pine ceilings and exposed beams. There is a Country wood stove on rock hearth & Cobblestone backing. Upstairs has 2 bedrooms (one of which is a spacious master suite) with pine vaulted ceilings highlighted with exposed beams. All three bathrooms were remodeled about 4 years ago including updating the plumbing.